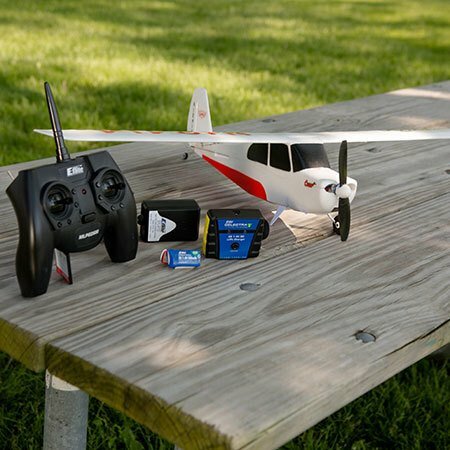 Whether you’ve never flown RC before or you got your first taste of flying with a multirotor drone, the revolutionary HobbyZone®Champ S+ RTF makes it easier than ever to learn to fly an RC airplane. 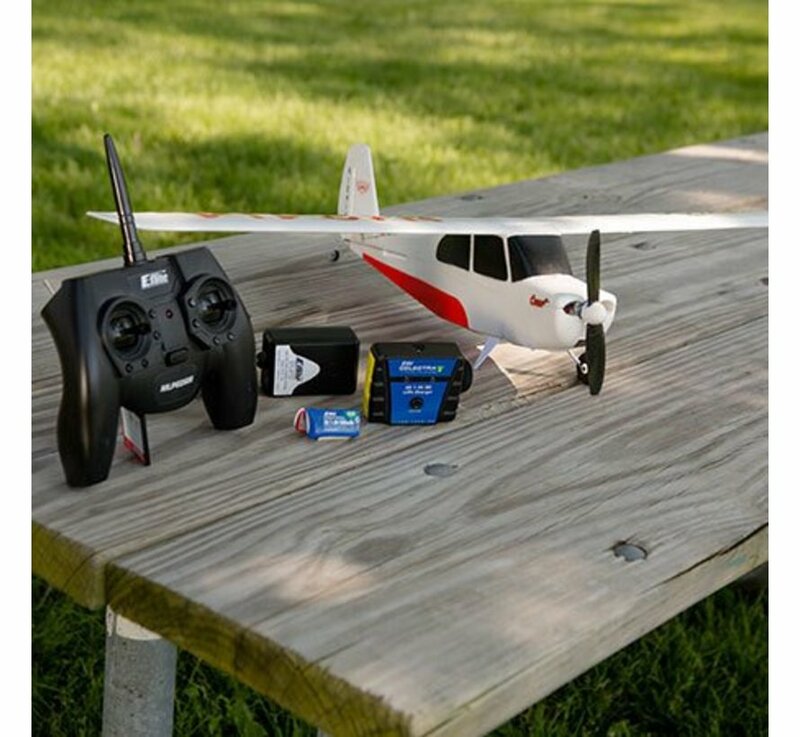 That’s because it’s equipped with Horizon Hobby’s exclusive SAFE® Plus technology providing the same kind of self-leveling stability and GPS guidance used in advanced drones that can cost thousands of dollars or more. SAFE Plus drone technology can land the airplane for you, keep you from flying too far away, and even lets you virtually "pause" the flight and circle by itself on command. SAFE Plus also includes three flight modes that allow you to learn at your own pace by preventing you from over-controlling the airplane and allowing you to perform basic aerobatic maneuvers when you're ready. 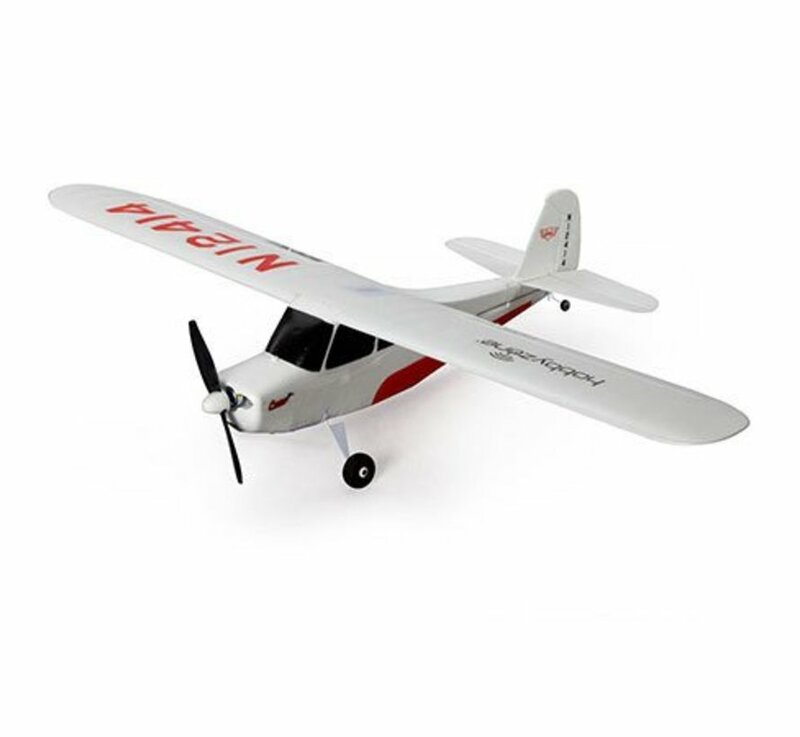 After losing my 1st plane, a sports cub s, and watching it fly out of site and out of control, I bought a champ s+. The invisible fence and panic button are priceless. 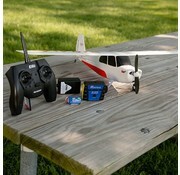 For $50 more than the sports cub s, I got a larger plane, brushless motor, invisible fence & panic button. Well worth the money. The only weakness I see is that the landing gear is not for grass. Landing in the grass is hard on the prop adapter and the tail rudder. I recommend removing the gear for grass & buying an aluminum prop adapter. GREAT PLANE!! !